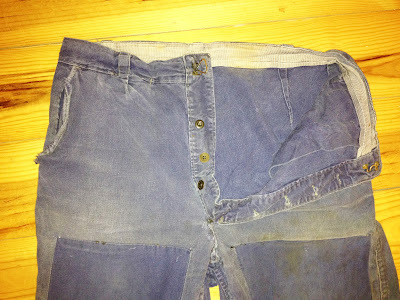 Designing Jeans, is something I've been lucky to enjoy these past 10 years, but theres a detail that seems to be bring joy to a small minority ( including me) and its a inner battle within the denim community and its regarding flys Construction methods. Most designers will have not probably notice or even seen a "Continuous Fly" before, and for sure some would even say: "whats the point?" 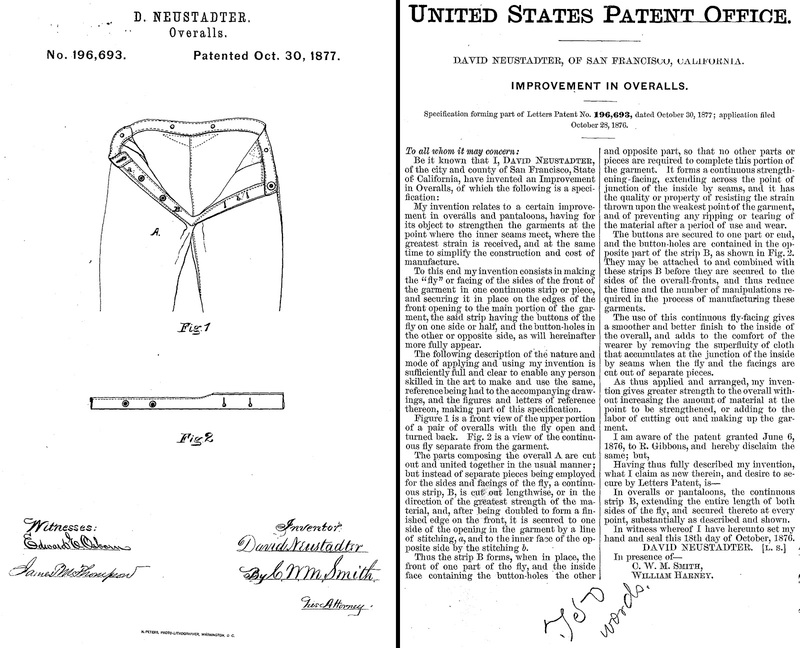 The Continuous Fly was invented by David Neustadter and he was able to patent his design on 30th October, 1877. But its widely believed that this detail was used by Neustadter Brothers as early as 1875 on their 1st work pant - The Neustadter Brothers in San Francisco manufactured the "Boss of the Road" overalls as early as late 1850's. 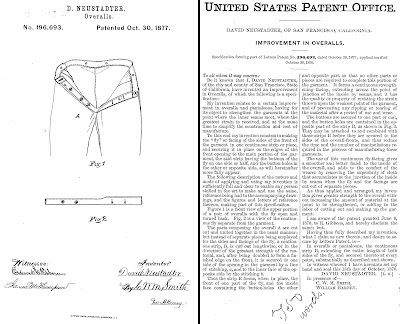 "My invention relates to a certain improvement in overalls and pantaloons, having for its object to STRENGTHEN the garment at the point where the inner seams meet, where the greatest strain is received, and at the same time to SIMPLIFY the construction and cost of manufacture. 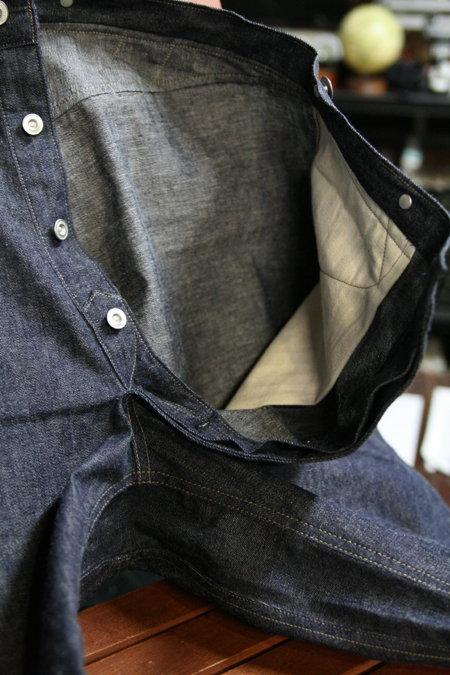 To this end my invention consists in making the "fly" or facing of the sides of the front of the garment in one continuous strip or piece..."
It seems strange to me, a detail which clearly STRENGTHEN's and SIMPLIFY's is missing from modern denim of today. But to be honest its no surprise. Most good functional details get watered down in time, and lost. As a manufacturer of Denim myself, i can see to speed up production it was left out, but this detail should have remained in my books. Notable brands Like: Ooe Yofukuten, DENHAM, Warehouse / Duck Digger, Rising Sun & Co, Hellers Cafe, and notable high end fashion designer Carol Christain Poell all use Continuous Fly across there top spec garments. I shall too when i release my own brand. The Allure of this detail, also makes its all nice a neat and clean on the inside. Esp if you don't want horrible over locking. Its defiantly a standard. Ive also seen Continuous Fly on many modern military garments to date, which is nice to see ! esp as they seem to think its still a good standard detail to use even to this day. 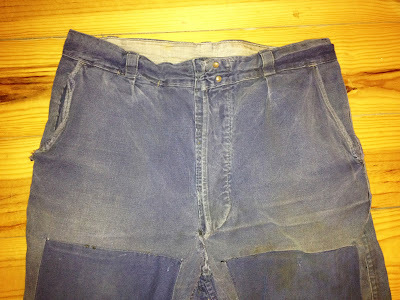 Below is another example of a Continuous Fly, this time on a vintage Chino sample from my Archive. Lots of denim companys say there Premium, but i say 'pah' to the word Premium. 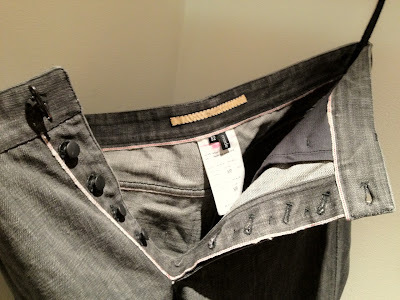 It seems easy now to get selvage, and selvage from good suppliers, even have concealed rivets, even hemmed on Union Specials, but how many so called Premium Jeans Companies have Continuous Fly's... ? Hi. I think no one is doing it because we dont know how.